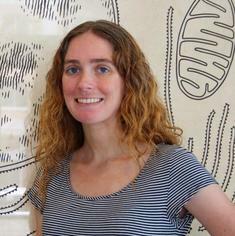 ​Amy Brock, Ph.D. Amy received a Ph.D. in Biomedical and Biological Sciences from Harvard University and a B.S. from MIT. She carried out postdoctoral work at Boston Children’s Hospital and the Wyss Institute for Biologically Inspired Engineering at Harvard and joined The University of Texas at Austin in 2013. Amy’s research interests include: cancer systems biology, heterogeneity and cell state plasticity, models of cancer progression and response to therapy. Outside the lab, you can find her sailing on Lake Travis with family, digging in the vegetable garden, playing board games, and just enjoying the antics of her five children. ​Kaitlyn Johnson, Graduate Student. Kaitlyn joined the Brock Lab in the Fall of 2016. Originally from New Jersey, Kaitlyn completed her undergraduate studies in biophysics at Georgetown University in Washington, DC. She is investigating the role of intra-tumoral heterogeneity and cellular plasticity in the dynamic development of chemoresistance using computational modeling to expose the fundamental principles that guide this phenomenom. Outside of the lab, you can find Kaitlyn running and biking, enjoying live music, and on a perpetually searching for the best ice cream in Austin. ​Hunter Joyce, Graduate Student. Born deep in the heart of Texas, Hunter began pursuing his graduate studies with The Brock Lab in the Fall of 2013. He is investigating drug resistance and phenotypic changes in cells cultured in 3D environments. His background before coming to the University of Texas is as diverse as Austin itself; working as a farmhand, guitar technician, process engineering intern and Undergraduate Research Assistant gave him many of the tools that he uses to solve the problems that arise in day to day lab life. Outside of school, Hunter has cultured his love of good coffee in many of the nearby coffee shops while also reading through his small library of classic science fiction novels. ​Grant Howard, Graduate Student. Grant joined The Brock Lab in January of 2014 as a graduate student researching chemotherapeutic resistance in cancer cells and cell state transitions. Grant’s undergraduate studies were at the University of Idaho in Moscow, Idaho but he originally hails from Cloudcroft, New Mexico. When not performing experiments in the lab, Grant enjoys reading Sci-Fi novels, playing tabletop RPGs, and painting 28 mm scale miniatures. Aziz Al'Khafaji, Graduate Student. Aziz joined the Brock Lab in 2015 as a Graduate Student in The Cell and Molecular Biology Program. His current work focuses on analyzing unique phenotypic states in cancer cells and tracking transitions between these states. Aziz came to Austin from Orlando, FL where he completed his undergraduate studies at The University of Central Florida. Outside of lab, Aziz enjoys playing pick-up games of Ultimate Frisbee and soccer at the local fields. Eric Brenner, Graduate Student. Eric joined the lab in the spring of 2018. He grew up in North Carolina, but completed his undergraduate studies in Ohio at the College of Wooster. Before starting grad school, he spent two years doing virology research at the NIH under the postbaccalaureate program. Since coming to UT, he has developed a passion for bioinformatics with a main focus on single cell transcriptomics. Daylin Morgan, Graduate Student. Daylin joined the Brock Lab in the Fall of 2018. Before coming to Austin, Daylin completed his undergraduate and master’s at Arizona State University. His current work focuses on utilizing molecular biology-based lineage tracing techniques to investigate the contribution of heterogeneity on chemotherapeutic response in colorectal cancer. Outside of the lab, Daylin enjoys pretending he is any good at intermural sports and trying out all the delicious food trucks in Austin. Edward Evans, Visiting Researcher. After completing his undergraduate studies in chemistry and mathematics at Wabash College in Crawfordsville, IN, Edward came to UT in 2013 to conduct his graduate studies in heterogeneous catalysis. Acknowledging his passion aligned more with aiding society’s health concerns, he has found his scientific home in cancer research. During his down time, Edward enjoys watching boxing, seeing comedy shows, cooking, and having new adventures with his family.